This page will explain how the Error and Failure Resolution (EFR) sits within the remedial technique in ELEXON’s Performance Assurance Framework and when and how it is used. An Error/Failure may be detected through the application of any Performance Assurance Technique. Upon detection the PAB can invoke the Error/Failure process. This process requires Performance Assurance Party (PAP) to keep ELEXON informed of the actions that they are taking to resolve the identified errors or failures. Your Operational Support Manager may also identify an operational issue needing EFR. When an Error or Failure is identified, ELEXON will ask for a set of actions to resolve the issue and the timescales in which these actions will be completed. ELEXON will review and monitor the actions being taken in order to provide reassurance to the PAB (and therefore to other industry participants) that the PAP is working towards a resolution in an appropriate manner and within an agreed timescale. 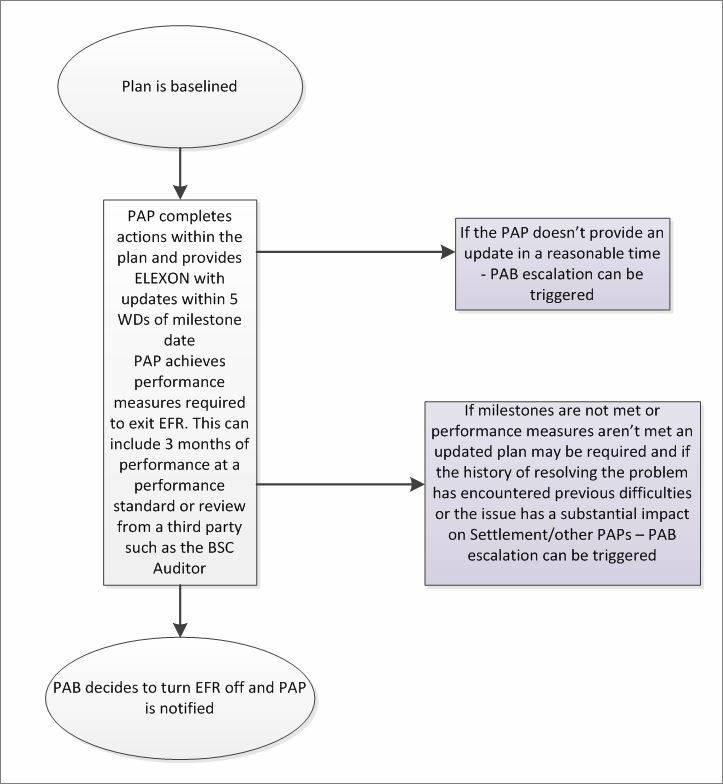 Failure of the PAP to satisfactorily meet the requirements agreed with ELEXON and to resolve the Error or Failure within the timeframes required may lead further escalation within the Performance Assurance procedure. Within the EFR we ask you to provide an action plan detailing the steps you’ll take to resolve the issue and the timescales for completion. As part of the EFR process, you agree with ELEXON what steps you’ll take to resolve the identified performance issues. When you’ve completed each step on your action plan, you need to let your OSM know. If you haven’t completed the steps according to your plan, you need to let your OSM how you’ll get back on track. By providing this information, we can monitor how you are doing with resolving the performance issues. When all actions are completed, the cessation of the EFR process will be agreed with ELEXON and/or the appropriate BSC Agent (e.g. the BSC Auditor or the Technical Assurance Agent) that highlighted the issue. Exiting EFR can include 3 months of performance at a performance standard or review from a third party such as the BSC Auditor. If milestones are not met or performance measures are not met, an updated plan may be required. If the history of resolving the problem has encountered previous difficulties or the issue has a substantial impact on Settlement or other PAPs, PAB escalation can be triggered. If performance issues are not resolved satisfactorily we may need to use an escalation mechanism to support the successful outcome of the process. 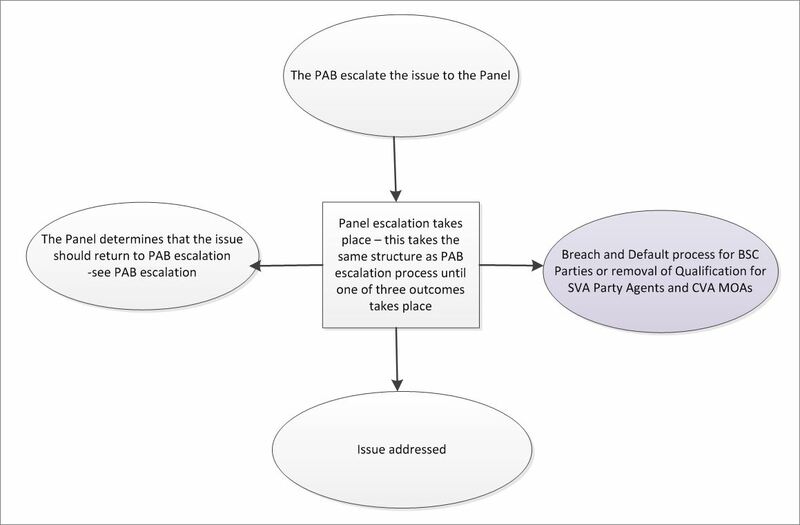 Escalation involves direction from the PAB. You will be required to agree the actions with the PAB you will implement to resolve the issue. Progress will be monitored by the PAB and your OSM until a successful resolution is achieved. 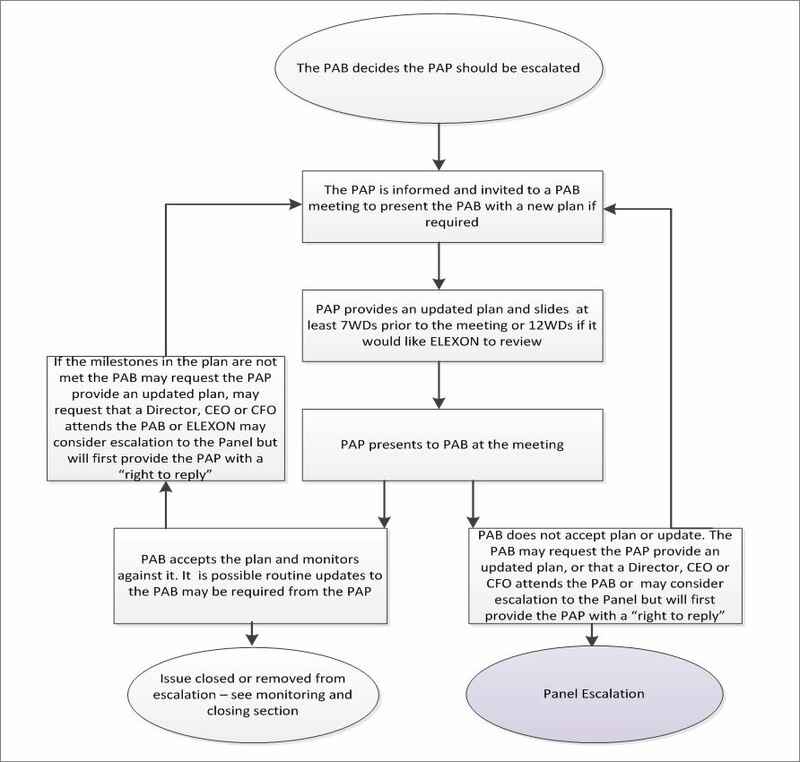 If the issue is not satisfactorily resolved during PAB escalation, the issue can be escalated to the BSC Panel. For SVA Party Agents and CVA Meter Operator Agents escalation can ultimately lead to the Removal of Qualification which means that an agent can no longer operate within that role for the purposes of the BSC or be an appointed as agent for Suppliers in order to operate these processes. If a performance issue is persistent or material, the PAB or Panel can initiate additional escalation processes. 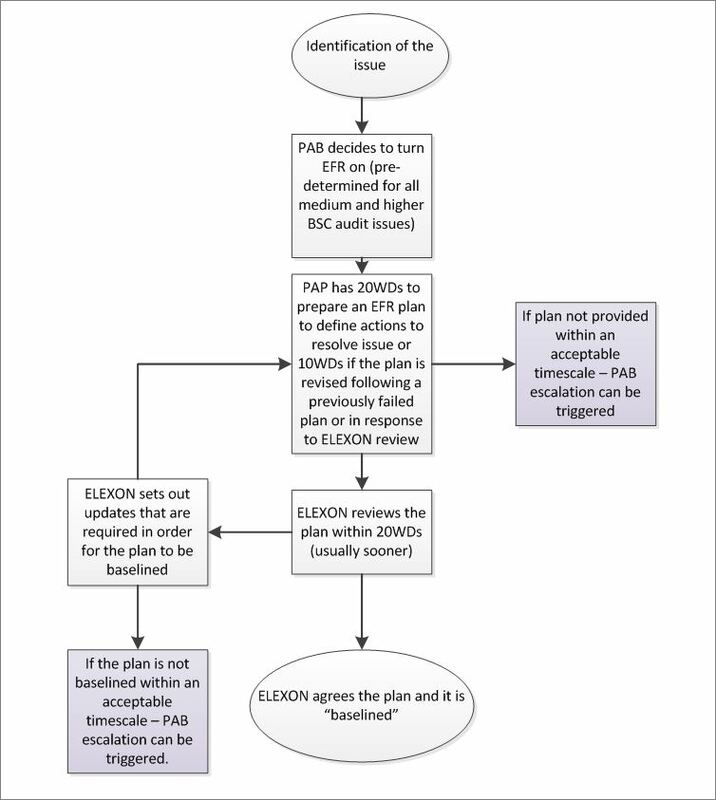 Error and Failure Resolution (EFR) is a key remedial technique in ELEXON’s Performance Assurance Framework. It is used to assure ELEXON, the Performance Assurance Board (PAB) and the rest of the industry that you understand identified performance issues and have robust plans in place to correct them in a timely manner. Section Z of the BSC covers the establishment of the Performance Assurance Board (the PAB) – its powers and functions, the duties and responsibilities of its members, and its proceedings; performance assurance procedures; Risk Management Determination (RMD) Queries and Appeals; and the administration and implementation of Performance Assurance Techniques (PATs). BSCP538 describes the administration of the error and failure resolution and escalation procedure.